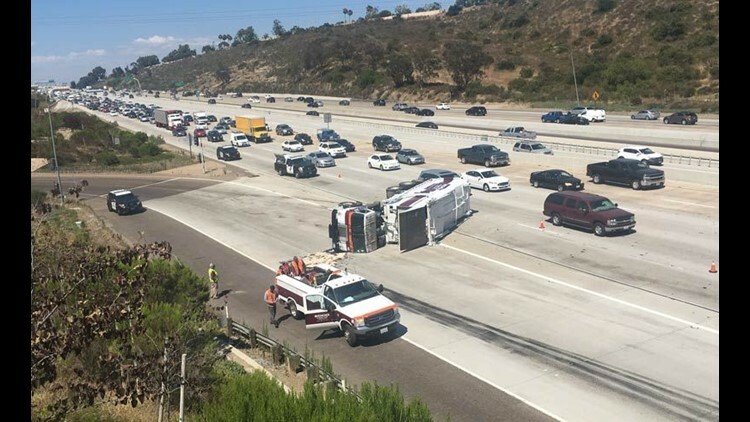 A Sig Alert has been issued for the southbound Interstate 15 onramp from westbound Poway Road after a trash truck overturned. Check back for more updates. SAN DIEGO (NEWS 8) - A Sig Alert has been issued for the southbound Interstate 15 onramp from westbound Poway Road after a trash truck overturned. Check back for more updates or check the CBS 8 Traffic page for your commute.